Pecans can be one tough nut to crack, that’s why Pecans.com has taken care of the hard work for you with our fresh shelled pecans. Available in halves or pieces, our fancy pecans come in a beautiful golden color, bursting with a sweet, buttery taste. Perfect for a healthy snack or baking your favorite dish, pecans are a rich source of energy, packed with vitamins, nutrients and antioxidants. 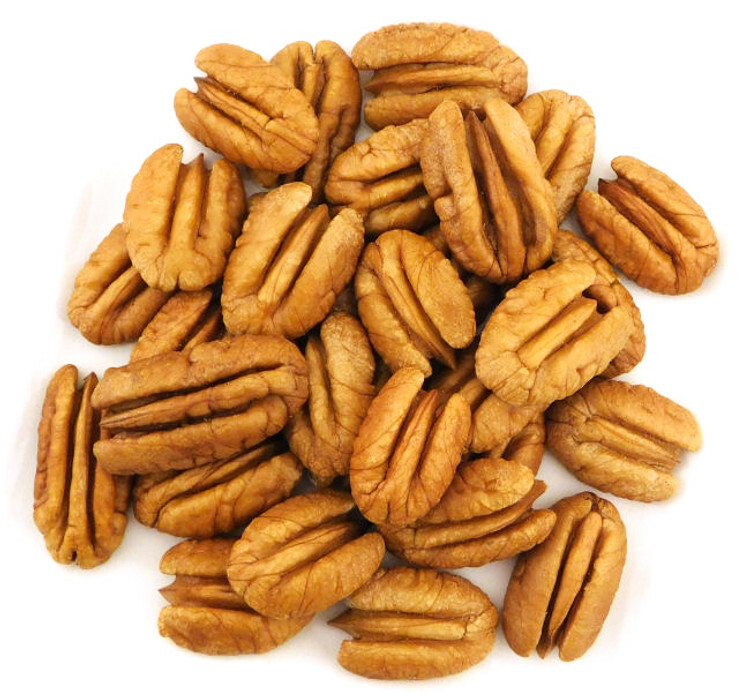 Our shelled pecans are sold by the pound or buy pecans in bulk with our 30lb box, perfect for bakeries and restaurants. Since 1972, Pecans.com has been providing the highest quality pecans at an affordable price. Shop online today!